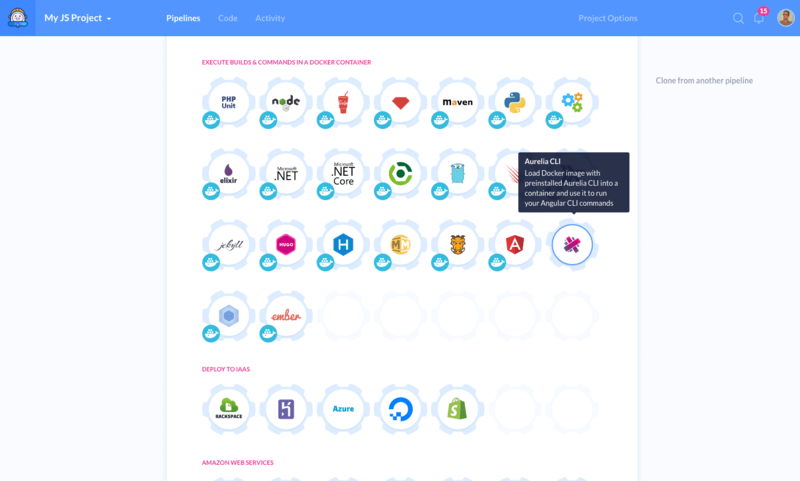 Widening the range of front-end tools, we’re happy to introduce Aurelia CLI to the list of actions. 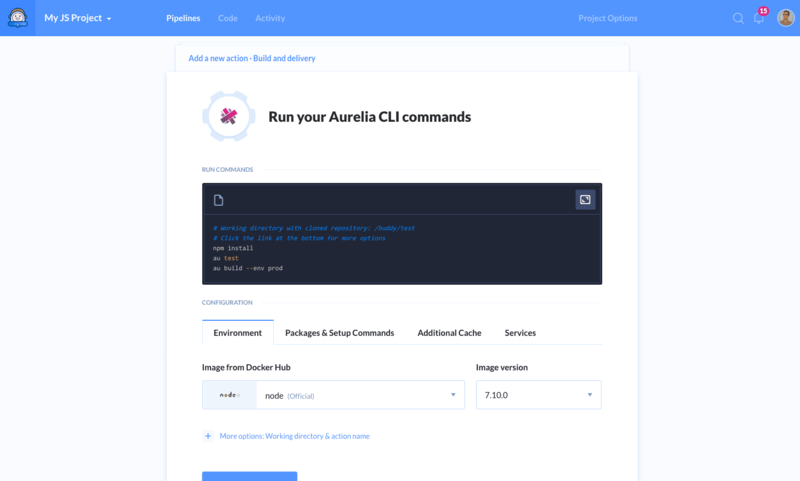 The new action lets you add Aurelia CLI commands to your delivery pipeline. You can use it, for example, to run unit tests or build your app before the release.